The Episcopal Commission for the Pastoral Care of Migrants and Itinerant People (ECMI) of the Catholic Bishops’ Conference of the Philippines (CBCP) hosted the third meeting of the Asian Working Group (AWG) of the International Catholic Migration Commission (ICMC). Philippines’ Vice President Jejomar Binay and the administrator of Overseas Workers Welfare Administration, Dr. Carmelita Dimzon were invited as resource speakers. 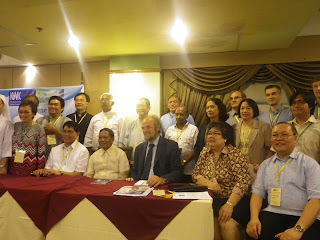 The meeting was held in Manila Manor Hotel in Malate, Manila last June 21 to 22. It was attended by a dozen officials from the Catholic Church of ten Asian countries. Both the high ranking government officials spoke lengthily of the Philippine government’s commitment in protecting the numerous Filipino migrants scattered in at least 200 countries around the world. The Vice President instead of just giving his solidarity message extended his stay and dialogue with the participants on what both the government and the church could do together to assist in the protection of migrant Filipinos working in various countries. Responding to the presentation shared by VP Binay, many AWG members expressed gratitude for his sharing. They are also impressed on how much the Philippine government had shown concern for their own people. Fr. John Ty of Vietnam expressed his gratitude on behalf of the Vietnamese church and former refugees who once sought refuge in the shores of the Philippines. He highlighted the warmest hospitality the Filipino people had shown to the Vietnamese refugees and told the vice president that it was only in the refugee camps in the Philippines where the Vietnamese did not experience any abuse while they await for their transfer to other countries like United States, Canada, New Zealand and Australia. the ratification of the UN convention on the protection of the rights of the migrants and their families in their respective countries as this will help provide better protection to the OFWs working in their countries. Outside the topic that she was tasked to deliver, Dr. Dimzon likewise addressed the AWG members over her deep concern of the many Catholics who had left the Church and had moved to join other religious sects when they go abroad. Being Catholic herself and a product of the University of Santo Tomas, it pained her to observe this reality in her many trips overseas. She had asked the church officials what they could do to stop this reality. Responding to her concern, Bishop Cantillas had acknowledged the same reality existing in the country and the need to address the challenge of evangelization needed in the whole Church. Bishop Cantillas thanked Admin. Dimzon for her generous time and for the very valuable input she shared with the AWG members. The members of the AWG were likewise benefitted by the sharing of the speaker from a non-government organization, the Development Action Women Network (DAWN), a migrant NGO headed by Ms. Carmelita Nuqui. She shared the stories of the Filipino women migrants who used to work in Japan as entertainers. Ms. Nuqui specifically shared her experience working with them and the programs and services her organization provides. With her presentation, the understanding of the concept of families of migrants made the discussion even more fruitful. They were furthermore animated by the continuous discussion mostly of common knowledge to the participants as they were the same issues already discussed and reflected in the past. Just as Mr. Johan Ketelers, the ICMC secretary general had earlier acknowledge in his opening remarks the various yet similar realities confronting the migrants and their families in Asia demand even more an urgent response. The report presented however by the representative from Cambodia painted a very striking unusual reality. He shared that due to the very strong indoctrination created by the communist regime to its people, the traditional concept of a family has practically been erased from the minds of the people. The church being a minority has to work tremendously even on this respect. The Jesuit priest, Fr. Totet Banaynal was just grateful to the AWG for having been invited to join this meeting as he has just learned so many things about the many complex issues linked to migration. The Church in Cambodia according to him has just started to organize herself and there are no records yet to share. He has however assured everyone that he will share all that he has learned from this meeting with his bishop. As the AWG members continued to share their reflection on how the Church’s ministry to migrants and their families will become an Asian platform, Fr. Peter O’Neill of Taiwan likewise expressed his observation that as individual bishops’ conference, they are mostly working quite effectively in their respective country even collaborating closely with various government agencies and offices but as a region there’s still a lot to do. It was from this point that a long discussion on the identity and the purpose of the AWG was debated on and discussed clarifying its relationship with the Office for Human Development (OHD) of the Federation of the Asian Bishops’ Conference (FABC). The presence of the secretary general of the FABC, Archbishop Charles Bo of Myanmar who made it in the second day of the meeting was providential in the discussion. ICMC being based in Geneva, Switzerland desires and supports what the leaders of the Asian Church wishes to attain for the migrants characterized by common issues but of different characteristics. Asia hosts the greatest number of migrants in the world. Mr. Johan Ketelers came to Manila to help facilitate the meeting of twelve delegates from Cambodia, India, Korea, Myanmar, the Philippines, Sri Lanka, Taiwan, Thailand and Vietnam. In their two days gathering, they were joined by several representatives from non-government organizations and government agencies in the Philippines working closely with migrants and their families to help them discern in their own establishment as AWG. Actively working in every local church where they belong, it was observed that all the participants tried to gather their acts together to show what the churches in Asia had done and trying to do for the migrants in the region. Being a small group working separately in their own country, the AWG traced its humble beginning five years ago where the group had proposed that the Asian church must learn to work closely together and collaborate as well with government. The platform that everyone had so desired is now clearly a work in progress according to Bp. Cantillas. From its conceptualization in Thailand five years ago, the AWG had held its second meeting in Taiwan two years ago exactly to follow up the desire for an Asian platform. It was in Taiwan meeting that the AWG had decided to focus their reflection on the issues of families of migrants in this Manila meeting. 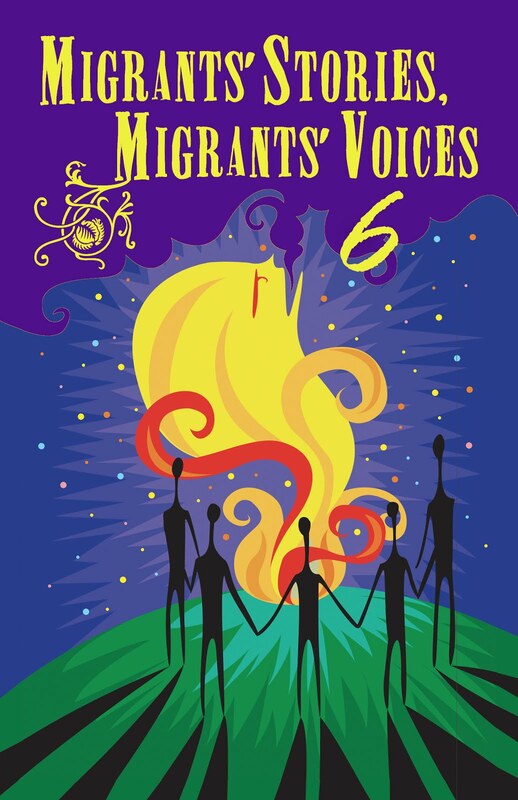 The members of the AWG had tried to identify common denominators of migrants’ experiences in their countries while continued to hope that someday, the problem of poverty will stop labour migration.